The hair is exposed to the constant influence of the environment. Therefore, proper care is essential. 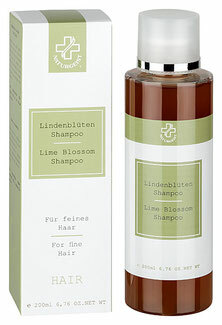 no animal testing, vegan lime blossom shampoo with conditioner gives new hair and fullness to heavily damaged hair. no animal testing, vegan camomile shampoo has a calming effect on the scalp by adding chamomile extract. Mild shampoo with conditioner. Especially suitable for the care of blonde hair. Has a soothing effect on the scalp thanks to the addition of camomile extract and gives your hair renewed shine. Mild Shampoo with conditioner. Contains a high amount of stinging nettle extract. For the care of greasy hair and against dandruff.